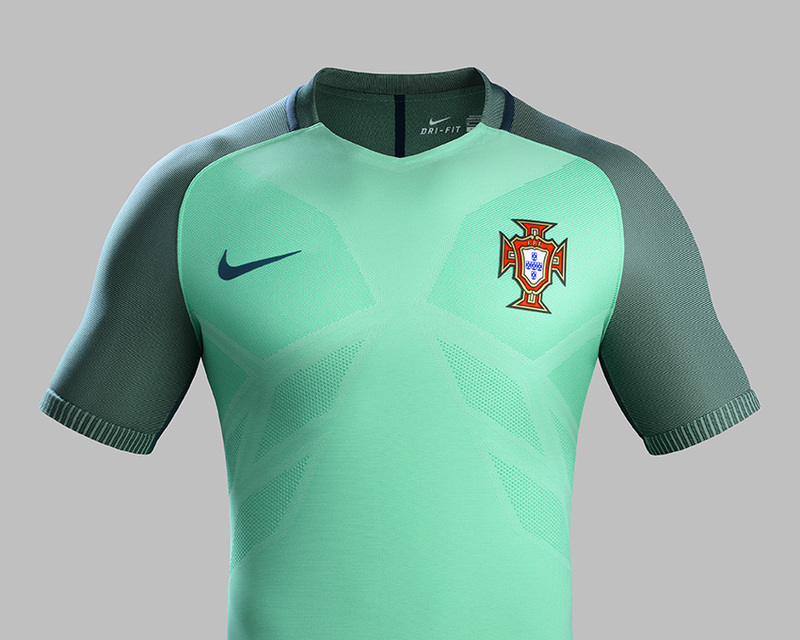 The 2016 Portugal National Team Kit features Nike's latest Vapor Kit design with AeroSwift Technology, which is 10% lighter than previous kits and drys 25% faster. The 2016 home kit is featured in a classic striking red, with tonal, striped sleeves and dark green accents. The 2016 Away kit breaks from tradition with a glowing green colorway that symbolizes the team's bright future. The Portuguese crest is heat sealed onto both jerseys, and special design details like the words “Nação” (Nation) and “Valente” (Brave) are stitched into the inner cuffs. Both jerseys are available in the Soccer Shop in adult and youth sizes.